I am thankful I resisted the urge to buy this product last year. Very thankful indeed. 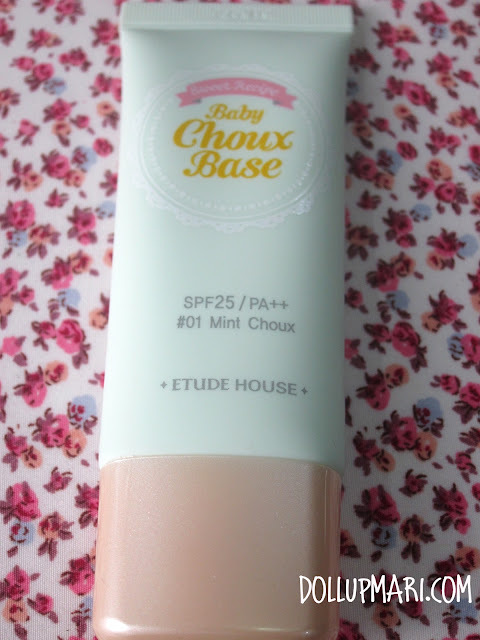 Because when Etude House first started Baby Choux Base, the products were put in jars. I have always had fears of items in jars because being the hygiene junkie I am I have always viewed jar packaging as unhygienic because you'd repeatedly dip your hands (which may have germs) in them. You can go and use spoons or spreaders, but still you'd end up dipping germ-filled items into the product, which can lead to possible skin infections or faster spoilage of the product. 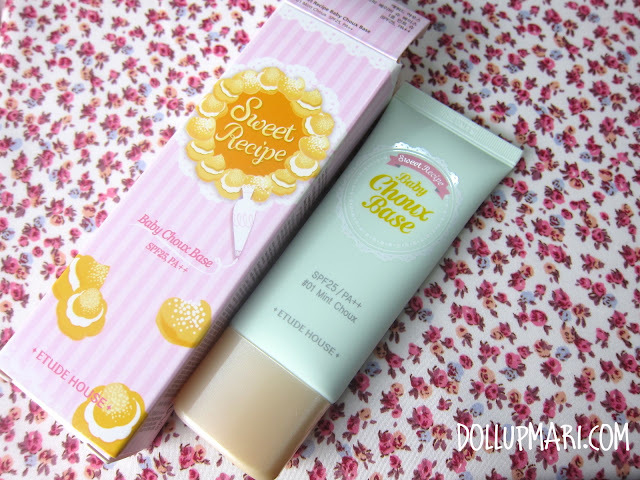 So I am just sooooo happy that their face primer now comes in tube! IN TUUUUUBE!!!! 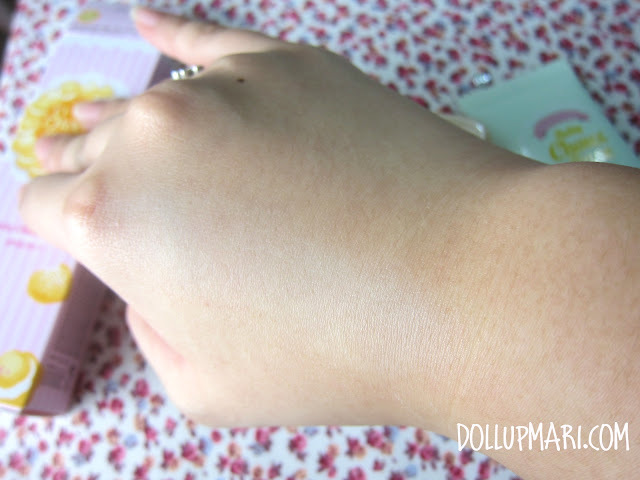 It is important to note that this product has SPF 25, meaning that it can be good enough to use as sunscreen. And if I heard correctly, the product may be priced the same as when it was still in jar but now there are more contents inside. If I heard correctly the jar format did not have as much as 35g of product. Can I just that the box is soooo cute? I just love cream puffs anf the whole idea of putting cream puffs on the box is just soooo cute... How I wish that the tube itself had cream puffs on it!!! 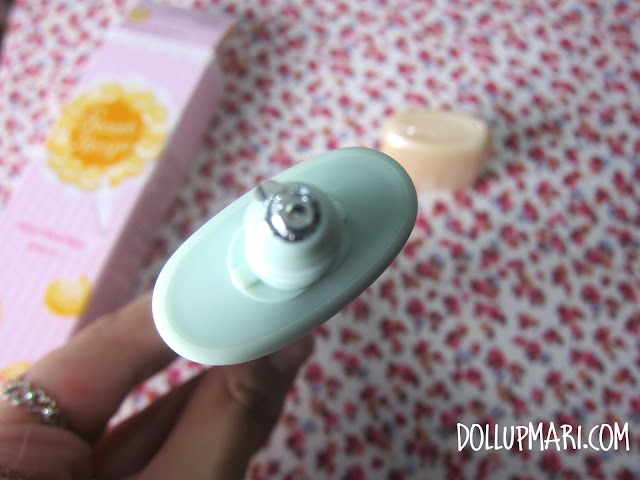 What then comes out is a light green cream that smells really sweet and fruity... by far this is one of the most fragrant products of Etude House that I have encountered (aside from their fruit scented cream blushes). They also make this in two other variants (peach color and berry color) to suit other color correction needs so be sure to check your own undertones before buying! To end this post, I got this item from BDJ Box for 628 pesos. 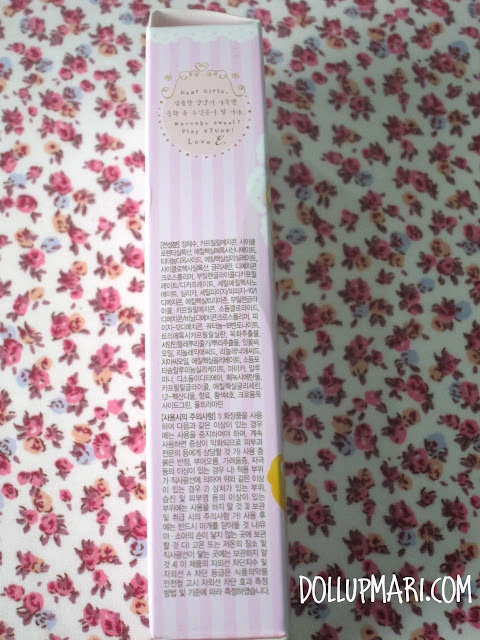 You can also get this in all Etude House outlets for the same price. If I am not mistaken there are still jar editions being sold as of the moment so if that's your kind of thing you can also go for it. And that is it for my review! Please don't hesitate to ask if you have other questions on this product! And who else here has reddish undertones despite being Asian? Please also tell me on the comments box! Thank you so much for this review Mari!